WESTMORE — While many are planning to burn the midnight oil to ring in 2019, others are aiming to get out of bed and into nature on the first day of the New Year. 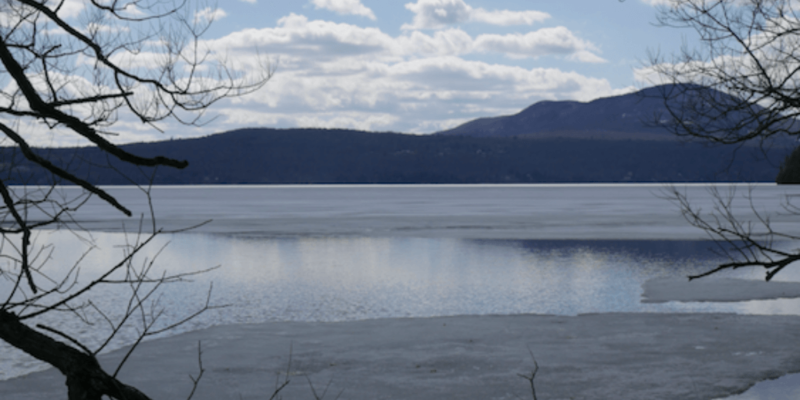 State parks around the nation will host free, guided hikes as a part of First Day Hikes, and Jean Haigh with The Green Mountain Club will be leading a tour of Long Pond in Westmore. Hikers will meet at 10:00 a.m. at the Long Pond Trail Head. 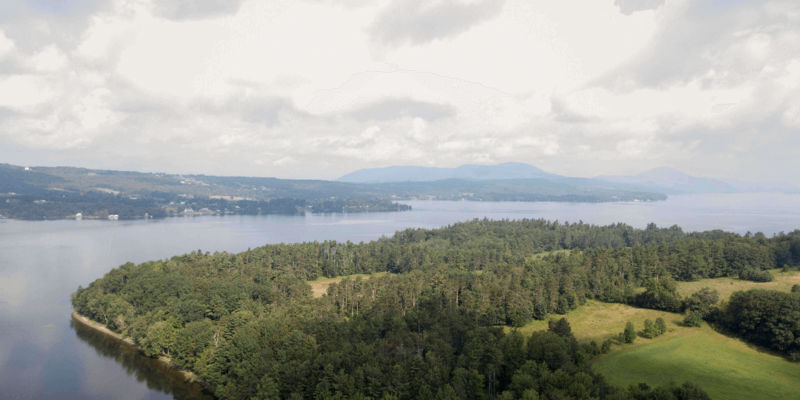 The hike has beautiful views of Long Pond, Lake Willoughby, and Bald Mountain. It is considered a moderate trail with a few tricky areas. Snowshoes or microspikes will be needed for this 4-mile round trip. The hike is in memory of Dave Hardy, who devoted decades of work to the stewardship of the Long Trail. 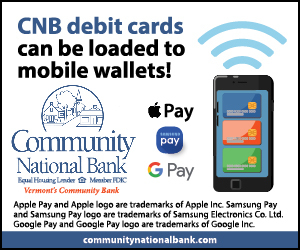 For more information, contact Jean at jhaightvt@gmail.com, or call 802-586-9637. EAST CHARLESTON — Next Friday, December 14, at 6:30 p.m, NorthWoods Stewardship Center and the Vermont Fish & Wildlife Conservation Group will co-host a free screening of the film Green Fire, with a discussion to follow. 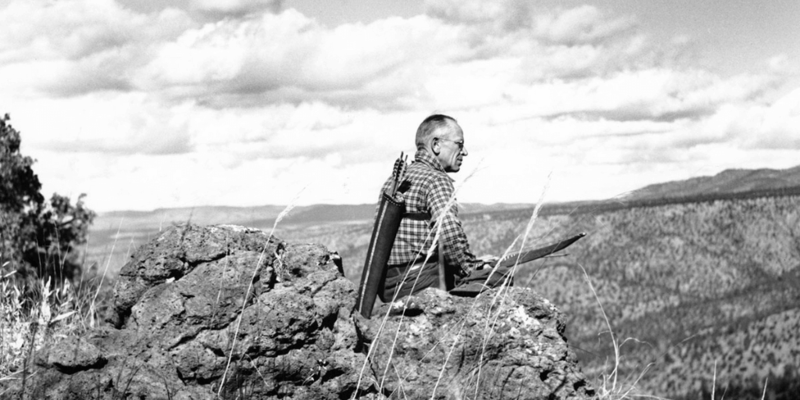 Green Fire traces Leopold’s personal journey and follows the threads that connect to his legacy today, an extension of the land ethic he championed. 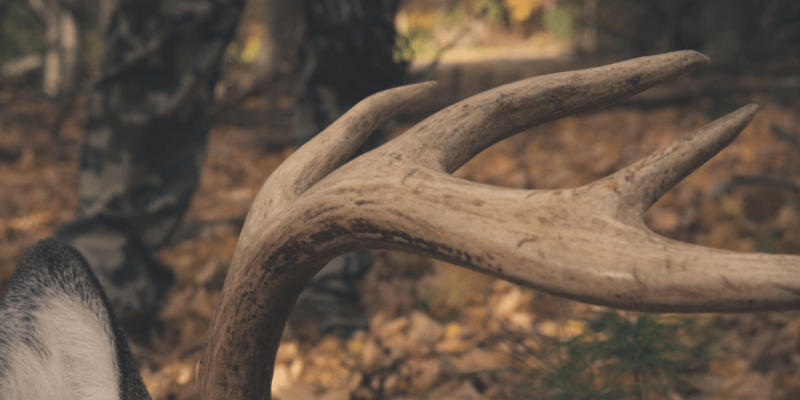 A panel of local outdoor enthusiasts, conservationists, and hunters will follow the screening to lead a discussion to comment on the film, their personal connection to Leopold’s legacy, and current challenges in rebuilding engagement in the conservation and hunting ethic that has guided many generations of north country residents. 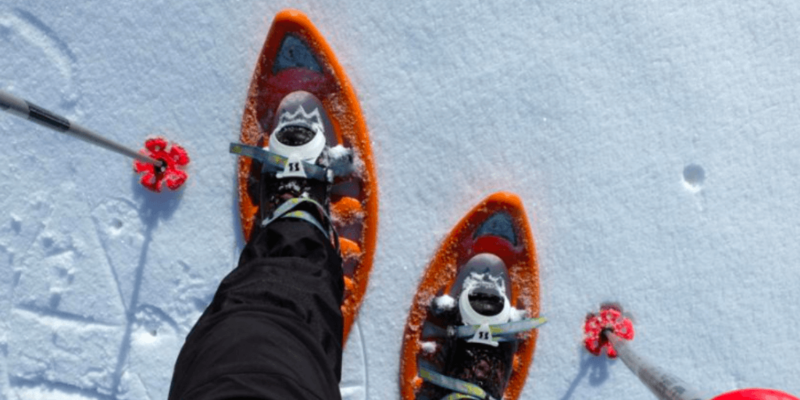 WESTMORE — The Northeast Kingdom Backcountry Coalition, also known as NEKBC for short, is updating its pilot backcountry ski and ride project in the Willoughby State Forest. 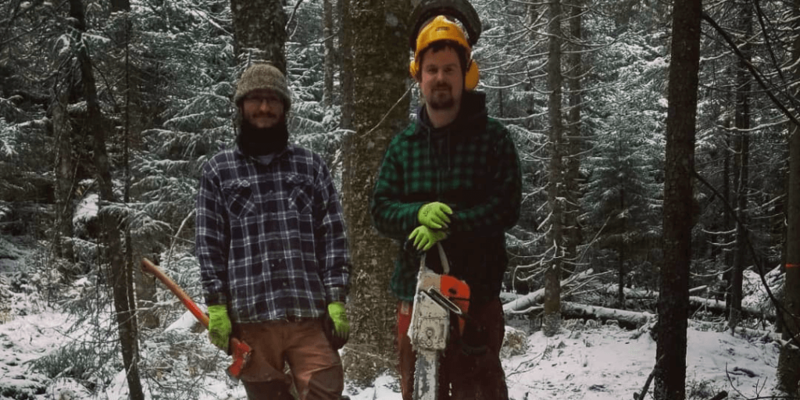 The coalition began working with the Vermont Department of Forests, Parks, and Recreation in the fall of 2016 to design and develop winter backcountry recreation opportunities that supplement the existing ski and snowshoe trail network in the Willoughby State Forest. The project is the first of its kind on state lands to provide access and manage vegetation to provide backcountry snow sports for the public. NEKBC says they are committed to creating legitimate and sustainable backcountry routes and hopes to stop rogue and illegal cutting on state and private lands. Most recently, the coalition has been working closely with specialist Luke O’Brien, who is one of several such professionals across the state recently hired to work closely with partners, volunteers, and contractors on outdoor recreation projects on state lands, including sustainable trail development and maintenance, assessment and monitoring of recreation sites, and promoting sustainable outdoor recreation activities. The collaborative project has resulted in the design of backcountry zones that include ski lines on Mt. Hor, and Bartlett Mountain. Also developed is a network of uphill tracks to connect to the parking lot on Route 5A and the various backcountry zones. 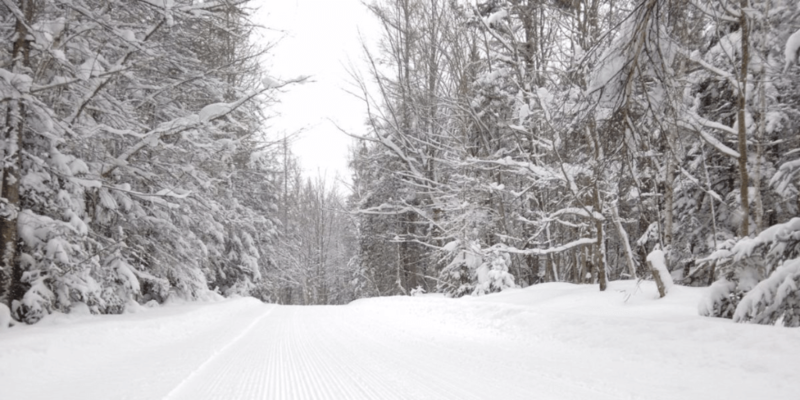 These improvements complement the existing 12k network of groomed Nordic ski trails offered in the Willoughby State Forest. 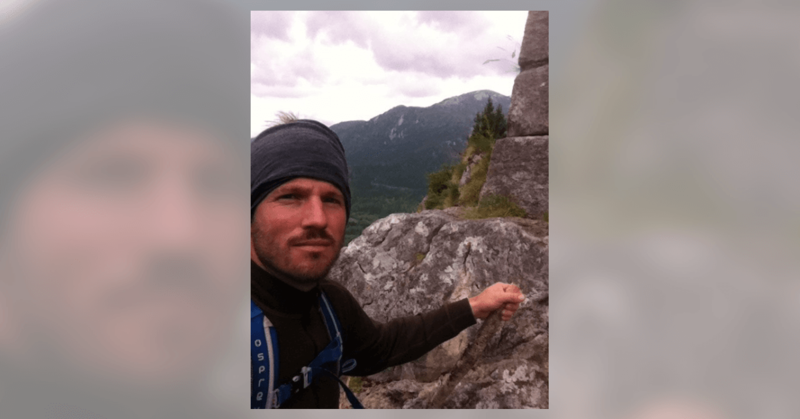 The group says they continue to work to identify, mark, clear, and monitor trails to create a sustainable backcountry trail system in the forest. CHARLESTON — NorthWoods Stewardship Center is taking nominations for the sixth annual George Buzzell Forest Stewardship Award. In honor of the esteemed county forester for which it is named, this award recognizes an individual who is making a positive impact on Northeast Kingdom forests. An award ceremony will be held at the NorthWoods Stewardship Center on Tuesday, December 11, 2018. 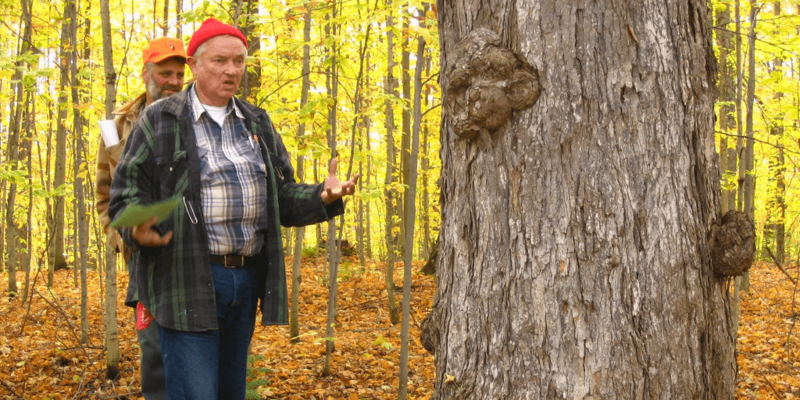 During his 44 years as Orleans County Forester, George Buzzell exemplified the best practice of his trade, including research that helped to re-define sugarbush management in Vermont. Buzzell also cast a welcoming net, encouraging education and inviting the community into the conversation and practice of forestry. With this award, they will honor the outstanding contributions of George Buzzell and recognize others who are carrying the torch of forest stewardship in the Northeast Kingdom. Eligible candidates are those who have demonstrated extraordinary commitment to sustainable management of forestland in the NEK, and who have also worked to advance or share knowledge to ensure the long-term resiliency and productivity of our forests. The individual’s direct impact can include hands-on work, policy improvement, education, training, or a combination. NorthWoods will welcome nominations of candidates until Monday, October 22. 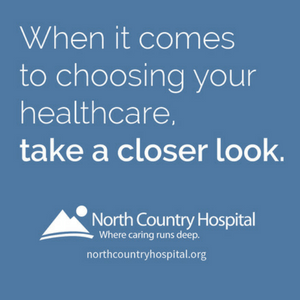 For the nomination form and instructions, contact Sam Perron at NorthWoods, (802) 723-6551 ext 302, or sam@northwoodscenter.org. 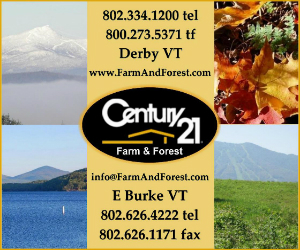 NEWPORT — The Vermont Land Trust will be holding a lottery for hunting on Bluffside Farm in Newport. This is the third year the land trust has held the hunting lottery. The farm was purchased by the land trust in late 2015, at which point it was opened to the public for recreation for the first time. 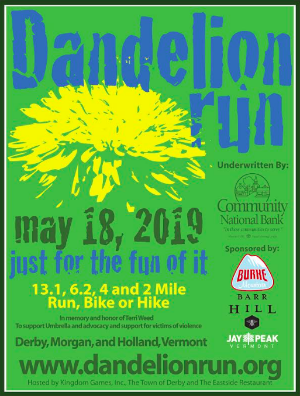 In addition to hunting, community members have enjoyed walking and skiing trails, local schools have used the land as an outdoor classroom, and the Vermont Youth Conservation Corp has been growing vegetables there for North Country Hospital. October 20 to November 2, November 10 to 25, and December 1 to 9. 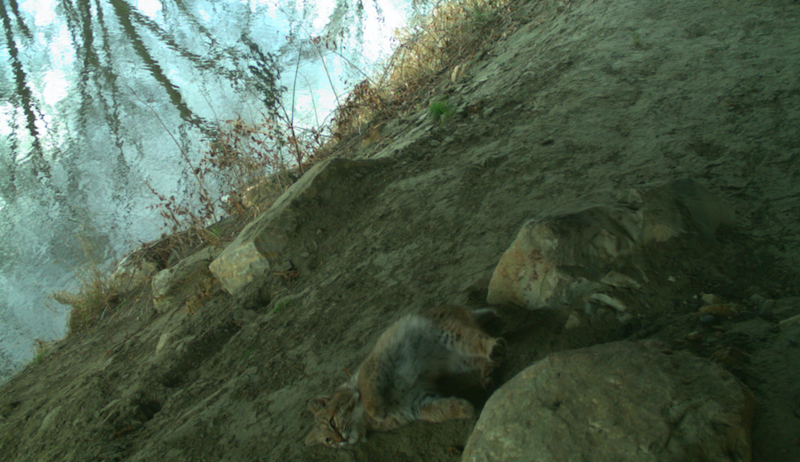 All hunting will be archery-only, because of the Newport City ordinance banning firearms. These will be the only dates when hunting will be permitted, and all applicable rules will apply. Bluffside Farm has become a popular area for walking and will continue to be open to pedestrians during hunting season. Notices will be posted in parking lots, but people should be mindful that hunters may be present during these times. 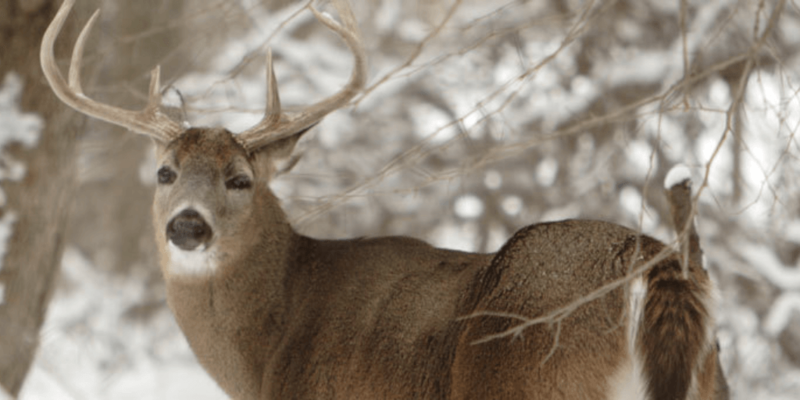 The Vermont Land Trust requires that all hunters carry written permission and hunt only in the designated portions of the property, away from neighboring houses. More information and the lottery application are available at vlt.org/hunt or by calling (802) 745-6303. 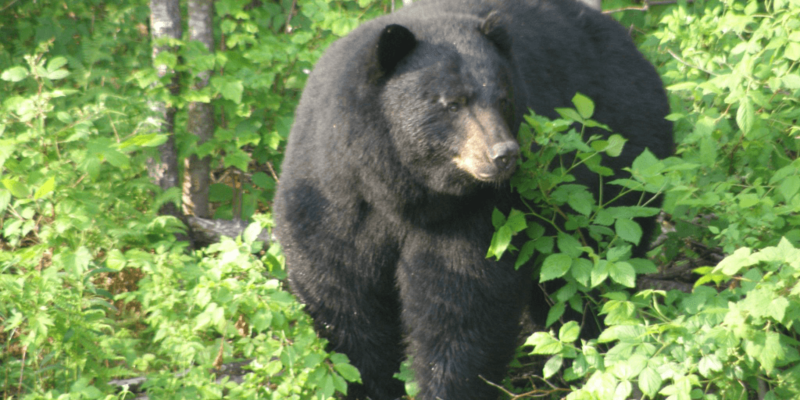 NEWPORT — Vermont’s bear hunting season starts September 1, and officials say hunters can improve their chances if they scout ahead of time to find fall foods such as wild apples, beechnuts, acorns, and berries where bears will be feeding. “Fall foods for bears are more abundant than they were last year,” said Vermont’s bear biologist Forrest Hammond. Bears will likely be feeding along power lines and in forest openings and old fields where berries and apples can be found. They also are likely to be feeding on standing corn. Vermont has two bear hunting seasons. The early bear hunting season, which requires a special bear tag, starts September 1 and continues through November 10. The late bear season begins November 11 and continues through November 19. A hunter may only take one bear during the year. Hammond says Vermont’s regulated bear hunting seasons help in managing the state’s population of about 5,400 bears. A new regulation now requires hunters to collect and turn in a small pre-molar tooth from each harvested bear. The collection of a premolar tooth is critical to the bear project as it provides important data on the age structure of the bear population and for making population estimates. Hunters took 697 bears last year in 193 Vermont towns. 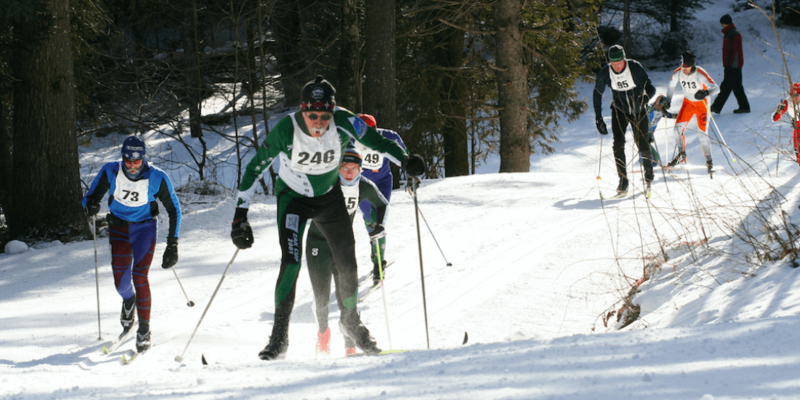 NEWPORT — Organizers are gearing up for another Harry Corrow Freedom Run taking place on the bike path and the Memphremagog Ski Touring Foundation Trails. The run will kick off July 4, starting at 8:30 a.m. Runners will start at North Country Hospital, where the gravel portion of the bike path begins. 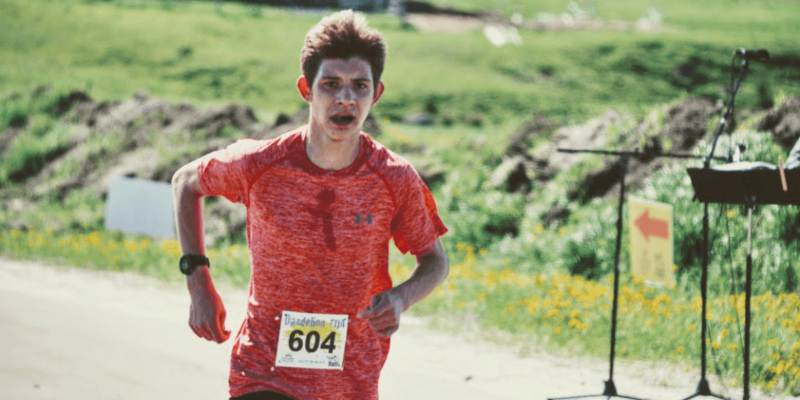 The run features a 10 mile, 6.2 mile, 3.1 mile, and 1-mile run/walk. 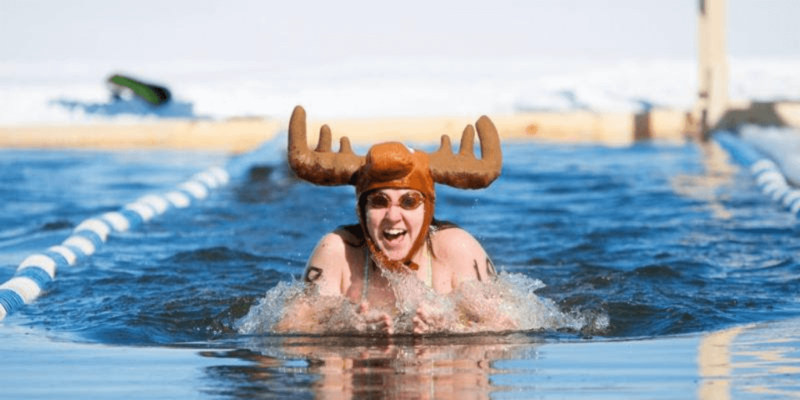 The distances are perfect for all ages and all abilities, as well as great for families. There is no running on city streets involved in the course. “We celebrate freedom from tyranny, freedom from asphalt, freedom to choose your distance, and freedom of spirit,” Phil White said. The event will be followed by Newport’s Fourth of July and Centennial Party in Gardner Park, including afternoon bed races. NEWPORT — Mountain bike and trail enthusiasts will enjoy riding single track and open track trails on Sunday, July 1, as part of the Newport Centennial Celebration. 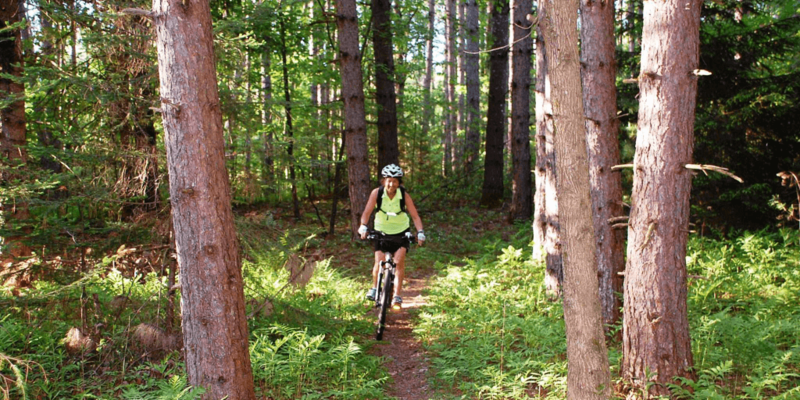 The ride kicks off at Primeau Woods at 10 a.m. and takes riders through open trail systems best suited for beginners and intermediate mountain bikers, or the single trail system through woods, over rocks, narrow bridges, stumps and exciting trails. Single track riders will need to bring their own mountain bike with at least 2” wide tires, helmets and water bottles. 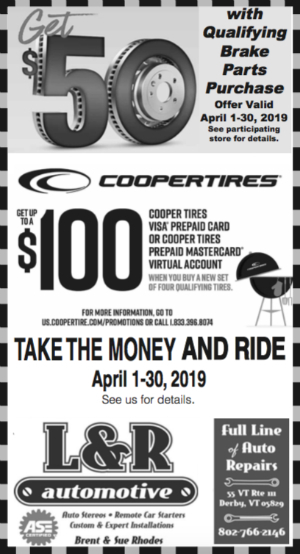 This will be an adventure ride for those who love mountain biking or want to get started in mountain biking. Kids under 12 are welcomed to ride the open trail loop with adult supervision. 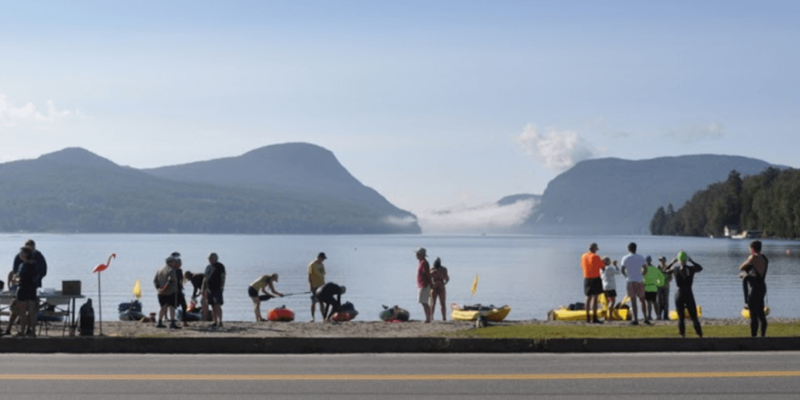 The event is being sponsored by the Memphremagog Ski Touring Foundation. BRANDON — This bobcat was caught in a series of photos on a game camera set up under a bridge in Brandon. 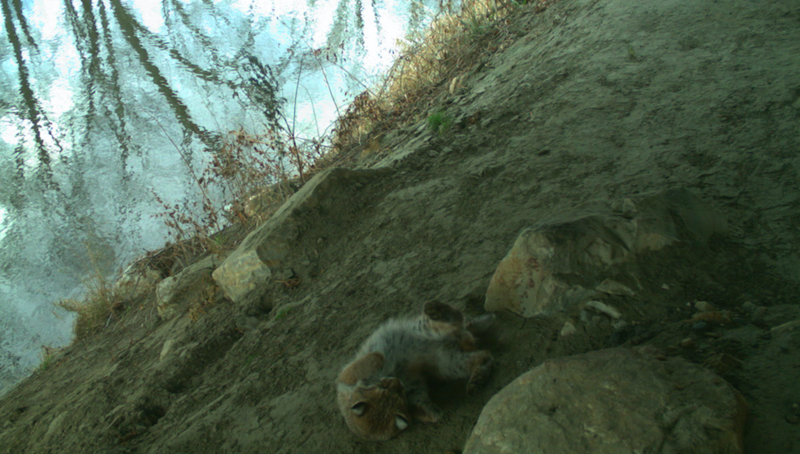 The cameras are put out as part of a collaborative partnership between Vermont Fish & Wildlife, The Nature Conservancy, and VTrans to better understand wildlife movement around road crossing structures. 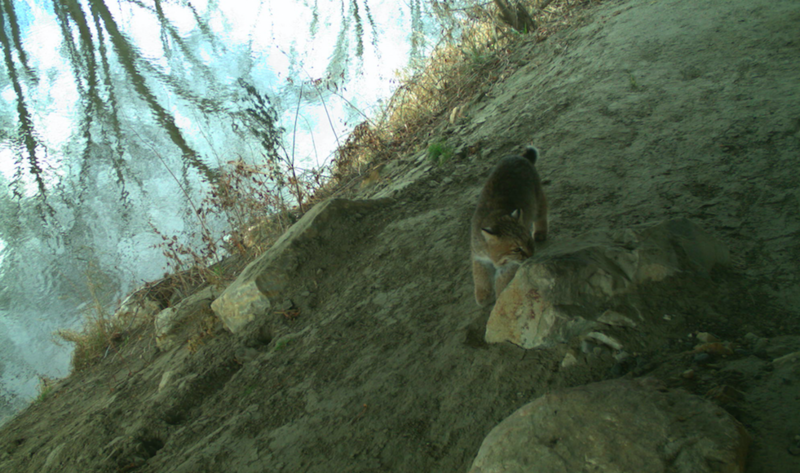 Information learned through this collaborative partnership has allowed VTrans to modify the design of bridges, culverts, and overpasses to permit improved movement of fish and wildlife, while also making these crossings safer for drivers on the road. Additionally, these modifications often help these structures to become more resilient to flooding events. 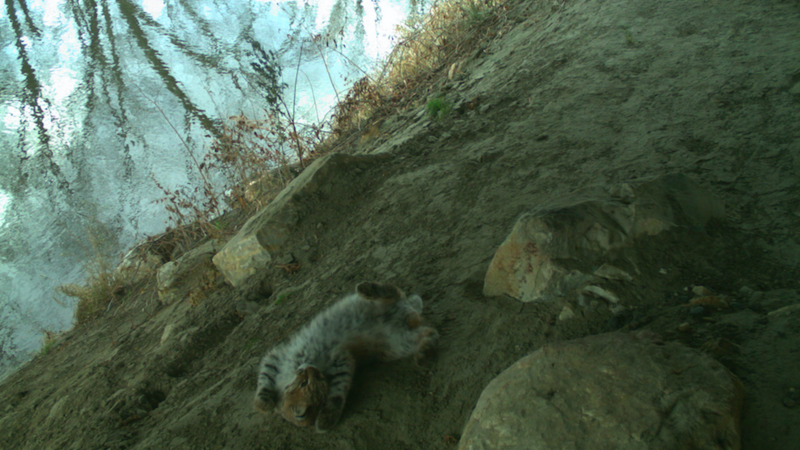 Improving road crossings is one part of a larger effort of the Vermont Fish & Wildlife Department to use science to sustain healthy habitats for wildlife across the state, referred to as Vermont Conservation Design. 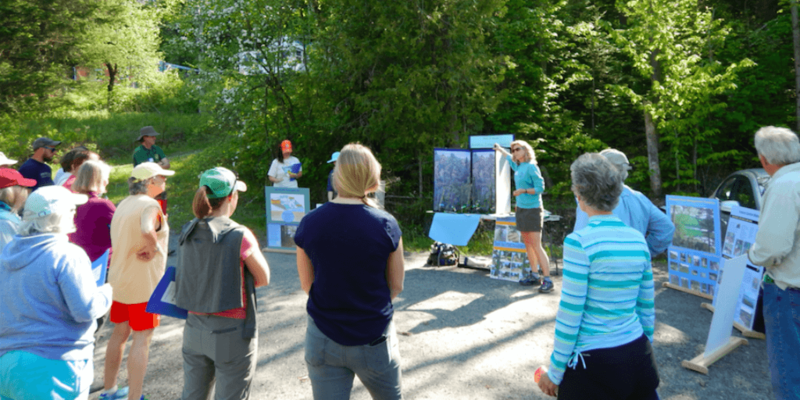 Other aspects of Vermont Conservation Design help protect Vermont’s forests from over-development, maintain clean air and water, and support the social and economic benefits of the state’s healthy fish and wildlife. 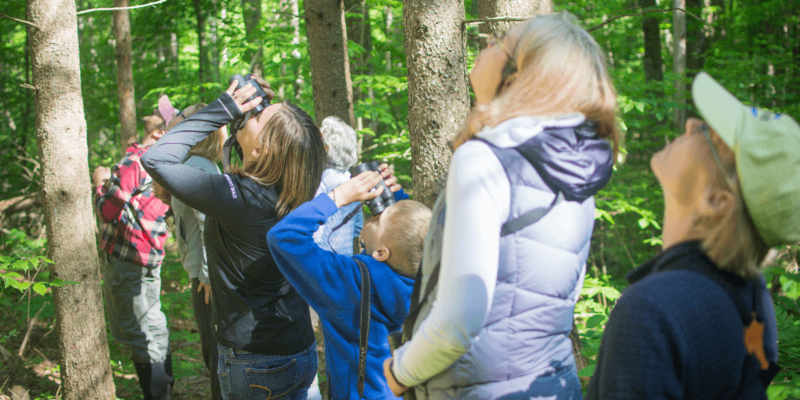 VICTORY — Vermont Fish & Wildlife Department and Northeast Kingdom Audubon are excited to partner on a birding and wildlife-viewing tour at Victory Basin Wildlife Management Area on May 16. 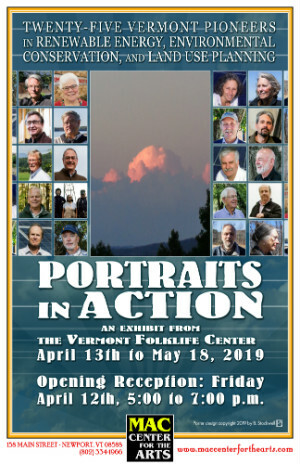 Doug Morin, a wildlife biologist with Fish & Wildlife, and Tom Berriman, an experienced birder with Northeast Kingdom Audubon, will co-lead this wildlife-based exploration of a truly unique part of Vermont. Victory Basin is a vast lowland boreal forest that is common in northern Canada but rare here in Vermont, allowing visitors to feel like they’ve stepped into another world. 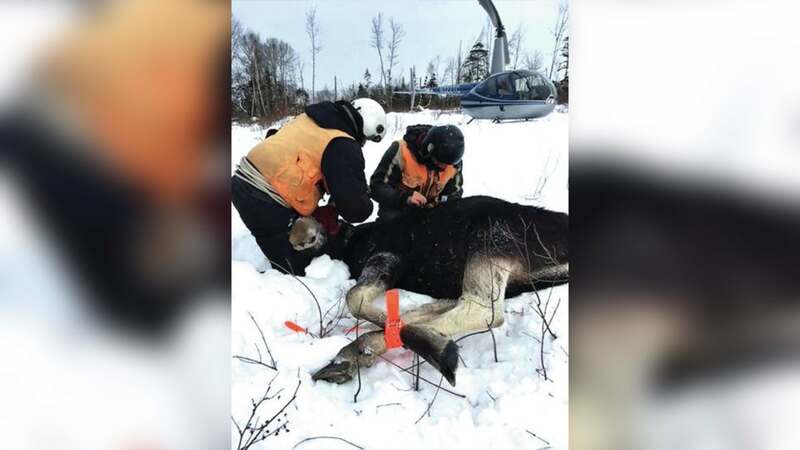 “We have a chance of spotting boreal wildlife such as gray jays, rusty blackbirds, snowshoe hare, and moose,” Morin said. 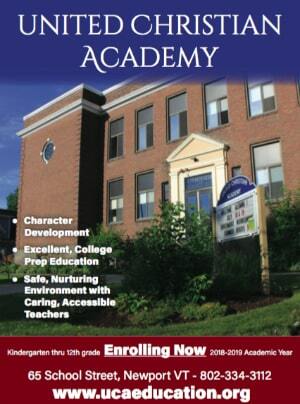 Two sessions will be offered on May 16, one from 7:00 a.m. to 9:30 a.m. and a second from 10:00 a.m. to 12:30 p.m. Participants are asked to bring binoculars and to wear appropriate clothing for being outdoors, including rain-proof layers. Waterproof boots are highly recommended, and spotting scopes and field guides are welcome. 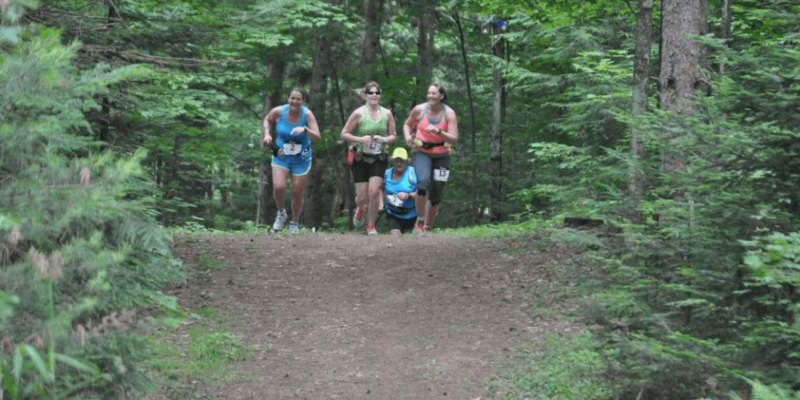 Participants should also be able to walk 1-2 miles at a relaxed pace over a relatively flat trail. The public can register for the event by visiting bit.ly/VTFWbirding. Admission is free and is limited to the first 14 people who sign up for each session. 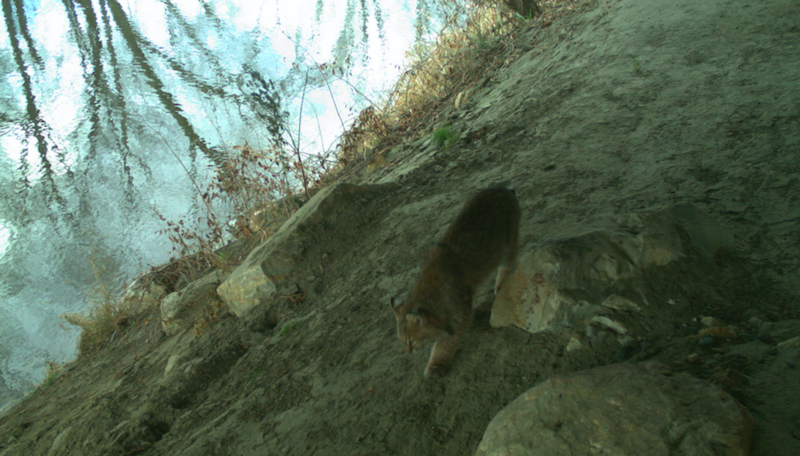 NEWPORT — One of the great wildlife migrations is happening right now, and it’s taking place right at our feet. You may have already heard the spring peepers or wood frogs calling in your backyard. Or perhaps you’ve noticed salamanders crawling over rocks in a nearby stream. Amphibians are on the move, but their spring breeding migration can too often become deadly. Hilke is asking drivers to report these hotspots, or areas with large numbers of frogs and salamanders that cross the road all at once. 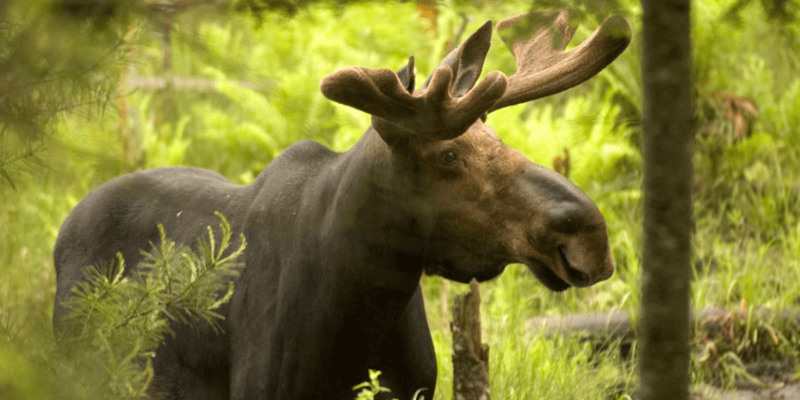 The Fish & Wildlife Department is working with the Vermont Agency of Transportation to include culverts and wildlife barriers in road construction plans to allow wildlife, from frogs to moose, to more safely cross the road. The town of Monkton has completed a highway project that is aimed at providing amphibians with a safe way to cross under the road. 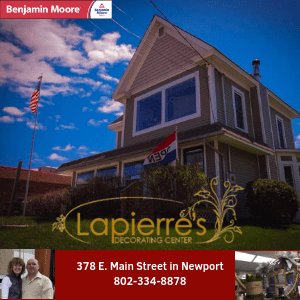 NEWPORT — Ver­mon­t’s tra­di­tional trout fish­ing sea­son is set to open on Sat­ur­day, April 14, and de­spite re­cent cold weather and lin­ger­ing snow cover across the state, of­fi­cials from Ver­mont Fish and Wildlife say an­glers can be suc­cess­ful early in the sea­son by fol­low­ing a few ba­sic tips. “Just like any other time of year, an­glers fish­ing early in the spring should ad­just their tac­tics based on the con­di­tions,” said Bret Ladago, state fish­eries bi­ol­o­gist. 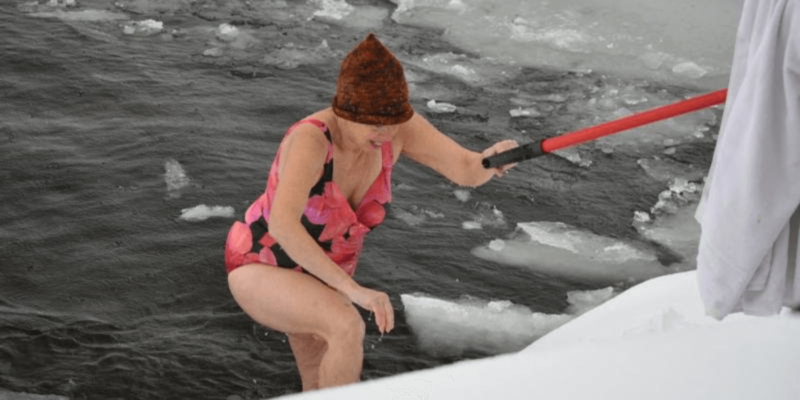 “Given the cold weather and runoff from re­cent storms and snow melt, wa­ter lev­els will be high, flows will be faster than nor­mal and wa­ter tem­per­a­tures will be cold. Ladago says an­glers may want to tar­get small to medium low-el­e­va­tion rivers and streams where flows are slow and wa­ters will warm more quickly. 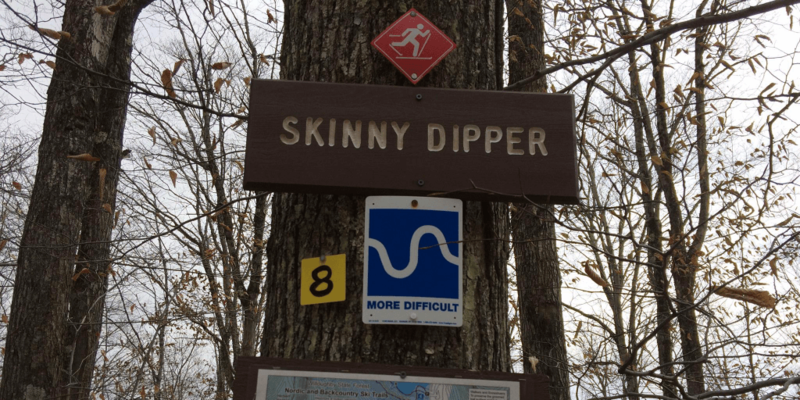 Find­ing wa­ter that is­n’t too muddy can be key, and slow­ing your lure or bait re­trieval will help tempt slug­gish trout into bit­ing. 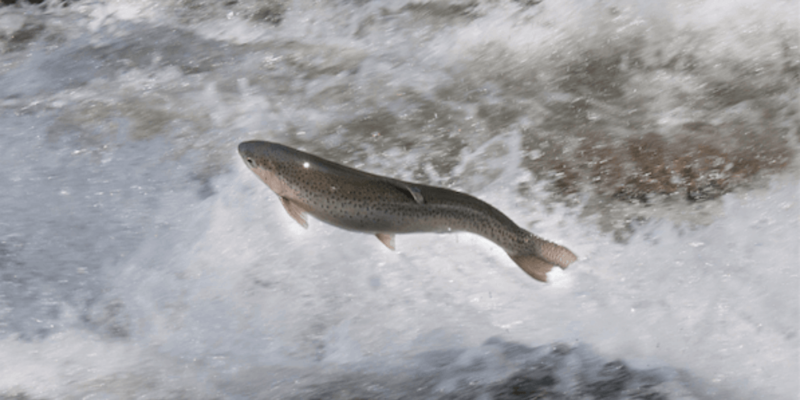 Trout will of­ten hold close to the bot­tom in the deeper ar­eas of streams dur­ing high flow con­di­tions to con­serve en­ergy. Choose lo­ca­tions and tac­tics that al­low for fish­ing bait or lures right along the bot­tom. Ladago says that fish­ing slowly with worms or spin­ners through deep holes be­hind cur­rent breaks cre­ated by big boul­ders, downed trees or log-jams can be pro­duc­tive for early sea­son trout. 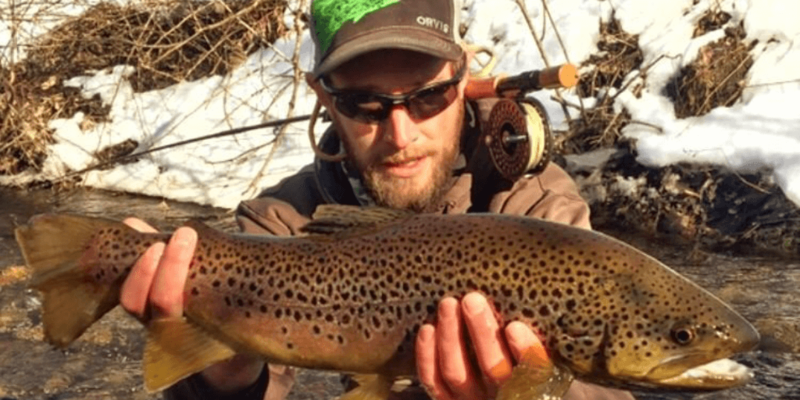 Ver­mont is known for its ex­cel­lent and di­verse fish­ing op­por­tu­ni­ties for wild trout. Trout stock­ing in streams and rivers gen­er­ally oc­curs in May, fol­low­ing spring runoff, so most early sea­son fish­ing is en­tirely sup­ported by wild trout. MORGAN — A $17,248 grant has been awarded to the town of Mor­gan from Ver­mon­t’s De­part­ment of En­vi­ron­men­tal Pro­tec­tion. 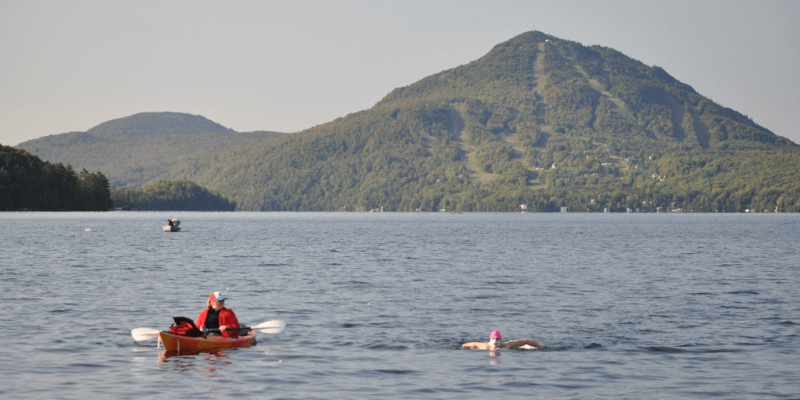 The grant, in part­ner­ship with the Sey­mour Lake As­so­ci­a­tion, will go to as­sist with the Aquatic In­va­sive Species Pre­ven­tion Pro­gram. According to the association, the pro­gram at Sey­mour Lake has been suc­cess­ful in pre­vent­ing the spread of in­va­sive species since 2000. They’ve done so through in­spect­ing boats en­ter­ing the lake, and ed­u­cat­ing lake users to the meth­ods in­va­sive species spread. 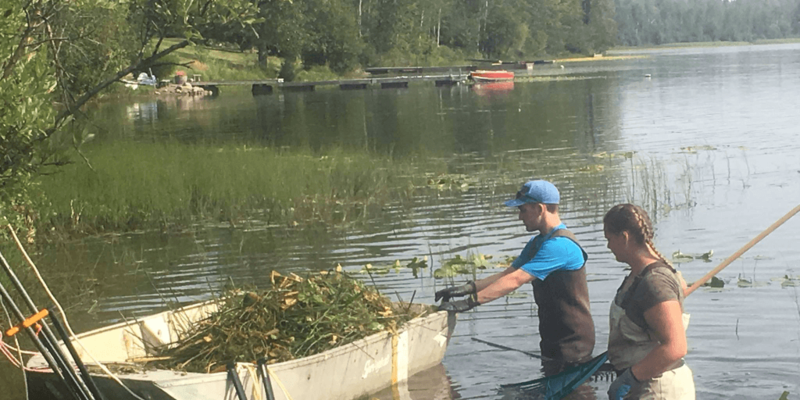 The pro­gram op­er­ates seven-days per week, 12-hours per day at the Sey­mour Lake fish­ing ac­cess from Memo­r­ial Day week­end un­til the end of Oc­to­ber. In ad­di­tion, a boat wash sta­tion will be in use to de­con­t­a­m­i­nate wa­ter­craft and as­so­ci­ated equip­ment en­ter­ing Sey­mour Lake com­ing from “at-risk” wa­ter bod­ies. The process includes running water that is heated to over 140 degrees through live wells, outboard motor intakes, inboard motor intakes, fishing equipment, anchors and any other part of the watercraft that may be considered at risk. 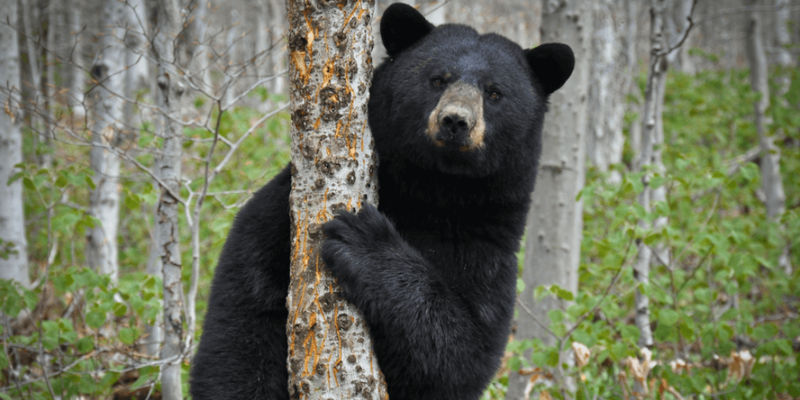 NEWPORT — The Vermont Fish & Wildlife Department says warm spring weather and melting snows will cause bears to come out of their winter dens in search of food. The department recommends taking down bird feeders on April 1 to avoid attracting them. Bears are very fond of suet and birdseed, especially black oil sunflower seed. Bringing feeders in at night doesn’t work because bears will still feed on seed that is spilled on the ground. 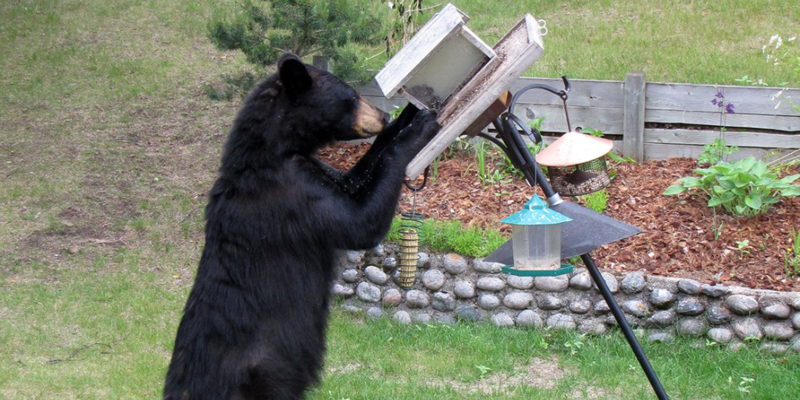 Bird feeders are just one of the things that can attract hungry bears. 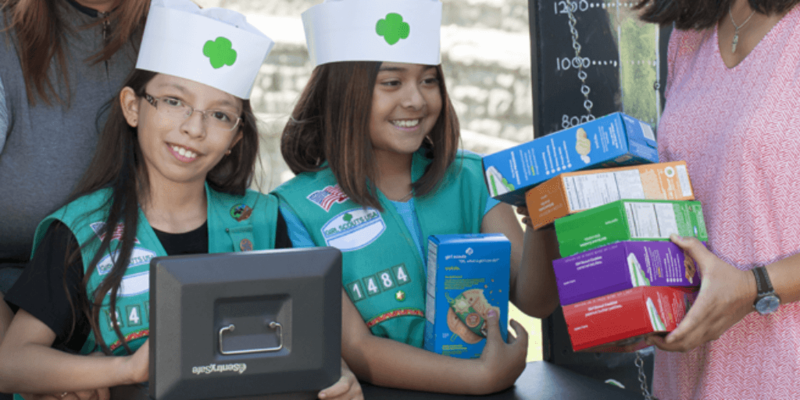 Other sources of food that bear find appealing are pet food, barbecue grills, garbage, household trash containers, open dumpsters, and campsites with accessible food and food wastes. Officials are also reminding Vermonters that purposely feeding a bear is not just bad for the bear, it’s also illegal. “We are asking anyone who has a problem with a bear to report the incident in a form that we have on our website,” said Forrest Hammond, Vermont’s bear biologist.